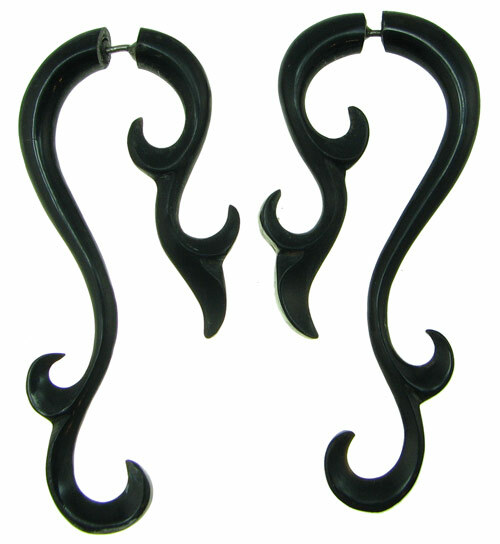 Water buffalo horn fake gauge fancy spiral hook earrings look like large gauge earrings but fit normal piercings. These dark horn fancy hook spirals are the perfect answer for those wanting a more tribal look without stretching their piercings. Horn fake large gauge earrings are hand carved from natural material, so there will be some variation from the pair shown in this image and also from piece to piece within a pair.